Home » iPhone » How Can You Block a Phone Number on the iPhone? How Can You Block a Phone Number on the iPhone? How Can You Block a Phone Number on the iPhone? Please continue to read this article to know the best answer for this common question. With standard programs for the iPhone, it is not possible to block a number on iphone. But there are several methods to deal with unwanted calls on your iPhone. Some programs provide services that blocks known spam and prank callers. Some cellular providers offer a blocking service for an additional monthly fee. Additionally, you can set your iphone to a specific ringtone, e.g a silent ringtone, when a certain number of calls. While cellular companies typically can not block specific individual numbers from calling you, some companies offer solutions. For example, AT & T is a service called Smart Limits to $ 5 per month. This service is designed to protect children and keep users from exceeding their data or voice limits, but it can also be used to block up to six phone numbers. Verizon and T – Mobile offers similar services; In contrast, Sprint does not provide this kind of service. 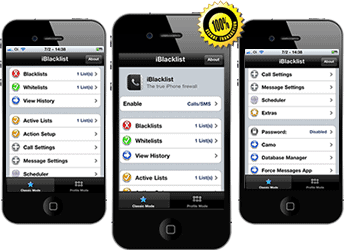 If you only want to block a number on iphone from known spammers general, prank callers and telemarketers, you can consider to download an app, such as iBlacklist, or Semisilent. But these iphone apps are only available on jailbroken iPhones, and jailbreaking could break your iPhone warranty. It can also irreparably damage your iPhone’s internal software. If you want to risk or already have a jailbroken iPhone, you can purchase, download and install one of these programs from their own website. For example, you can get iBlacklist from iblacklist.com.br for $ 12. These iphone applications have an extensive database of numbers that you may choose to block, or you can choose to block specific numbers in your contact list. If you do not care about actually receive calls and simply do not want to be bothered by ringing or wasted time, you might consider creating a silent ringtone to contacts that you know are spammers. You can download a ringtone creation app on your iPhone, for example create ringtones! or iRinger, or you can play 30 seconds of silence in GarageBand and make this an app in iTunes. Once you have the ringtone, you can assign it to a specific contact, open your Contacts app, tap on the contact and select “Ringer.” We hope those few methods could help you and could answer your question on how to block a number on iphone.